It's no secret. Penguins love the water! Those cute little critters spend a good portion of their life swimming around in the ocean. In fact, some penguins can stay in the water for months without hopping onto dry land. Most penguins probably aren't too upset about a little bit of rain. Of course, your little one, on the other hand, might not exactly have the sort of natural affinity for water that a penguin does. 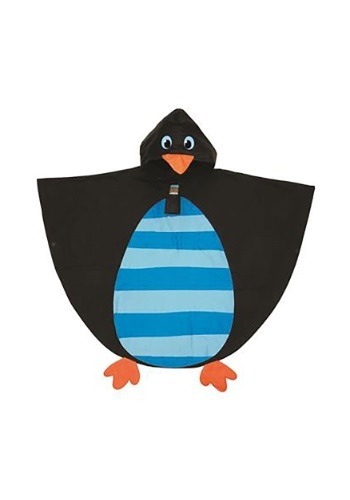 That's where this Penguin Rain Poncho comes in! It helps turn your little one into one adorable little puddle penguin! This children's Penguin Rain Poncho comes from the Stephen Joseph, the company famous for making cute and comfortable kid's wear. 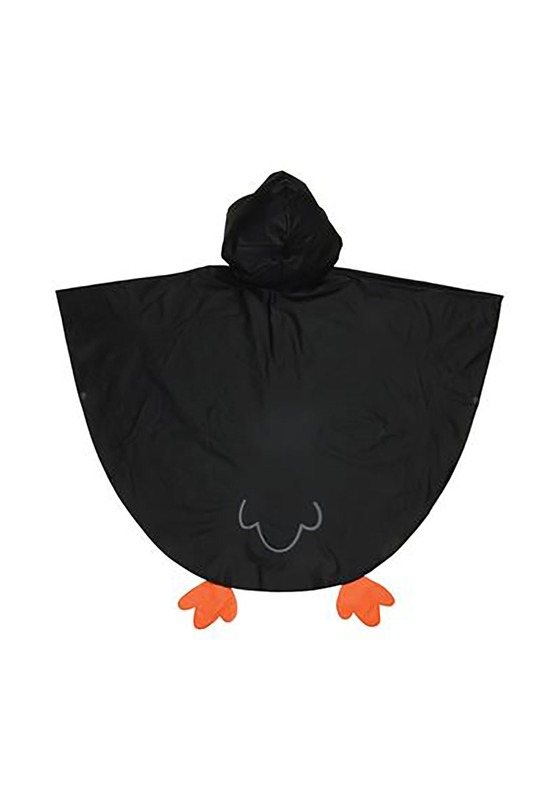 The poncho is made out of a waterproof PVC material and has cute penguin details printed on the exterior—it even has an attached hood shaped like a penguin's face. The belly has blue stripes and the bottom has a pair of little feet attached, which tops off the look for your adorable style! Any youngster is going to love splashing around in the rain while wearing this poncho! It'll help keep them dry when they decide to go full-on penguin mode.